Training for marathon #13 – Twin Cities Marathon – kicks off Monday. Wheeee! I like the training part more than running the actual marathon itself. I love the way training makes my body and mind feel: strong, disciplined and happy. 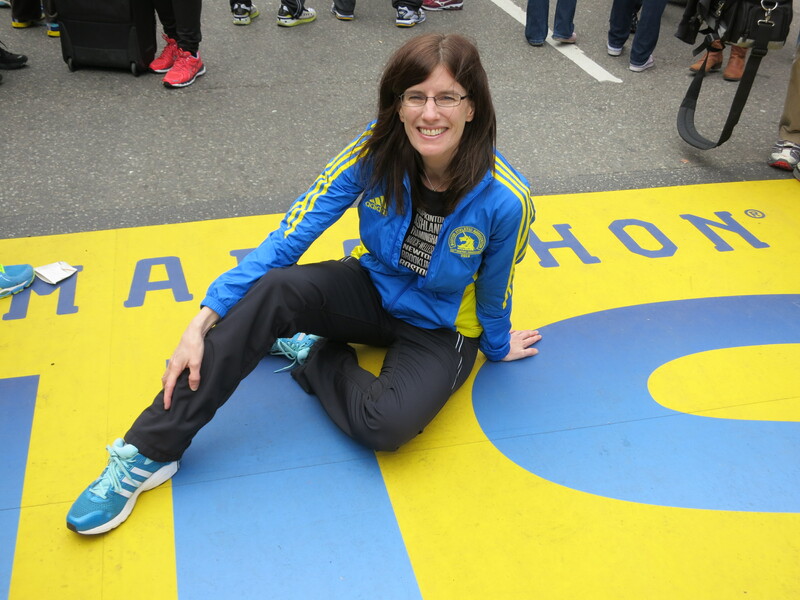 When it comes to marathon training, I’ve done it all. I’ve followed plans by the greats: Pfitz and Daniels. I’ve done low heart rate training. I’ve followed a Lifetime Run plan (multiple times). I’ve followed the Coach MG plan (which I would call high mileage with a focus on easy paced runs and strength runs). You have to get behind the plan you choose. You have to believe in it or you aren’t going to want to get up and get the runs done and you aren’t going to have a successful marathon. You have to mix things up. Doing the same plan multiple times might be “comfortable”, but it is going to lead to boredom and you likely won’t keep on seeing the good results that you got the first time you did the plan. Not every plan works for every person. You don’t have to be a slave to the plan. It’s ok to modify/tweak the plan to fit your life (you know: work/kids/travel) and so you don’t get injured. You have to relax. Focusing too intently on achieving a certain marathon goal – and forgoing life in the process – will ultimately make you blow up during the marathon. Been there, done that. Adding in too much “extra” stuff (core, strength, cross, diet, sleep) sounds good in Week 1, but by Week 3 or 4 it usually ends up being too much for the average marathoner. Sure, the elite can do this because it’s their job. But at least for me, if I try to do it all, I end up feeling overwhelmed and frustrated and then I end up completely abandoning “the extras”. So I think it’s key to just pick maybe 2 “extras” that you are going to focus on with your marathon training to give yourself a realistic chance of success. To get better at the marathon you have to run a lot of miles. To be able to run a lot of miles, you need to make a big percentage of them “easy”. And by easy they are not talking just 30 seconds slower than MP, which so many runners seem to do. They are talking 45 seconds – 2+ minutes slower than MP, depending on the run. Runs that aren’t “easy” are “SOS” runs (Something of Substance). Depending on the phase of training this could be VO2 max runs (intervals), tempo (which they do a lot of LONG temp runs that are at marathon pace) and long runs. You shouldn’t be a slave to “the 20 miler”. The benefits of a long run start to be negated after about 2 hours and 30 or 45 minutes. Run much longer and you are setting yourself up for injury (if your long run is too big a percentage of your total miles for the week) and you are also not likely to be able to recover sufficiently to do your other workouts. Cumulative Fatigue. They don’t do cut back weeks. Ever. Until taper and then it’s a really aggressive taper in just the last 10 days basically. And there are very few days off (except in the first 2 weeks, then I think there is one day off a week). Their idea of an off day is ultra slow recovery running – active recovery. I’ll do separate blog entry later on just this (cumulative fatigue) because to me it is very interesting. I’m really excited to try this plan! Stay tuned for lots of blogging about the details and philosophy behind the Hanson’s Method and if you want to read about it, I HIGHLY recommend their book: Hansons Marathon Method. (The plan I’m following was purchased from their coaching site – it’s not in the book). I have been looking over the Hanson’s plan’s as well. I just ordered the book and can’t wait for it to come.